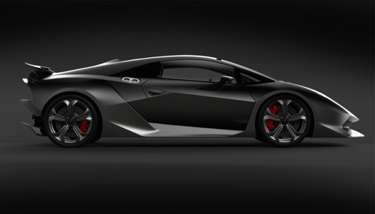 What does this Lamborghini and the new Callaway Diablo Octane Driver have in common? They are both made out of the exact same material. I kid you not! What's more is these two successful companies are joining up in hopes of helping each other make the next giant leap in their markets. My knowledge of luxury sports cars is limited, thus I'll stick with getting you up to speed on the Diablo Octane Driver. This driver is for all of you distance-hungry freaks that want to add the biggest and the best to their bag. I doubt you will find a longer driver. Callaway accomplishes this by moving away from the old tried and true titanium (the main material found in 95% of all drivers out there) to a forged composite. This revolutionary new material is the product of their collaboration with Lamborghini. Callaway calls this the lightest, strongest, and most precise material they have ever used. And with the lighter driver head, Callaway was motivated to mount the 460cc head on a 46" shaft instead of the standard 45-1/2" for even more clubhead speed. How about we give it a test drive? (The driver, not the Lamborghini.) The first thing that jumps out at me is the graphics on the crown. You can actually see the new material in the window on the crown. That's pretty cool if you like the novelty and want to impress your foursome. When I first picked the club up I was surprised how light it was. It felt like I was holding one of my ultra light fishing rods in my hand. I’ve learned from experience that when I get a club in my hands this light my tendency is to wrap the thing around my head and swing like I’m John Daly. (I imagine this would be my same tendency when getting into the driver seat of a Lamborghini as well – stomping down the peddle like I am Kyle Petty – but I haven’t quite had the pleasure. I’ll let you know when I do.) Thus, after a hard talk with my inner-ego I took a very slow and measured backswing and released the clubhead into the back of the ball with my usual silky smooth tempo. The ball shot off the face like a firecracker and flew to the back of the driving range (over 250 yards) Wow! For you higher handicappers, I like the huge clubface with the toe of the driver being very obvious. This will definitely help you slicers. I also love the sound at impact. Most carbon fiber clubs are pretty muted, but this has a very pleasing impact sound even when you don't catch it square in the middle of the clubface. Lower handicappers will want to check out the Tour version, which is a more compact 450CC. It's attached to the shaft using a hosel, and it does not have the visible forged composite on the crown. 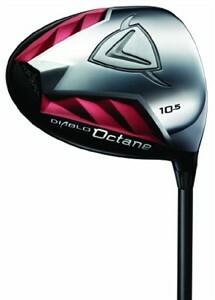 Or, if you think this whole Lamborghini thing is just a lark, check out the TaylorMade R11. No fast car technology there, but it gets rave reviews. With Callaway and Lamborghini getting together, the cars and the clubs should be getting faster and faster. Better hang on to something.